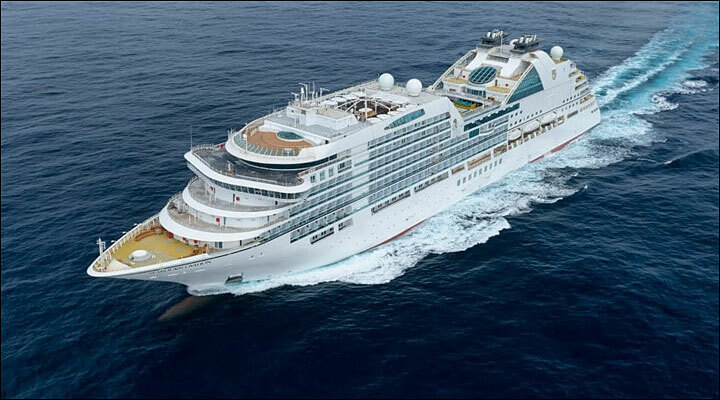 In 2018, Seabourn will introduce Seabourn Ovation, a sister-ship to the already prestigious Seabourn Encore. Seabourn Ovation represents another welcome stage in the evolution of small-ship cruising, which Seabourn pioneered and has consistently expanded and enriched. Seabourn Ovation delivers a wealth of new concepts, a fresh vision and a host of illuminating ideas to delight the world’s most discerning travelers. Aboard Seabourn Ovation, the suites are rich in thoughtful details such as roomy closets, comfortable seating and sleeping areas, elegant bathrooms, a well-stocked in-suite bar and personal entertainment options. Enhanced by the vision of Adam D. Tihany, the sophisticated color palette, choice of fine fabrics, rich materials and lustrous finishes found in guest accommodations reflect Tihany’s master touch. You will feel the impact of Seabourn’s elegant innovation in the experiences you’ll enjoy on board every day. From the views in the Observation bar to the Wellness Spa to a night at the Casino, guests will discover that the world onboard Seabourn Ovation is truly extraordinary. To dine aboard Seabourn Ovation is to experience a culinary revolution. She offers gourmet dining experiences that rival the finest restaurants anywhere, using the freshest quality ingredients, including seasonal local specialties that are perfectly prepared to your order by Seabourn’s skilled chefs. Masterful additions by Michelin-starred Chef Thomas Keller further elevate Seabourn’s cuisine, offering an unsurpassed dining experience unlike any other at sea. When Master Designer Adam D. Tihany was tasked by Seabourn to bring Seabourn Ovation to life, he sought to create a ship “imbued with a sense of spontaneity and exhilaration, to elicit surprise and delight that will complement the rest of the guest’s travel experiences." And he succeeded. Now, come explore what makes Seabourn Ovation the crown jewel in what is already the finest fleet of luxury vessels to sail the world.